Call-out for game exhibit, The Lulus, and funding ninjas! Pause Festival is coming to Perth later this month for City of Perth’s Innovation Month, and they’re looking to make a public exhibit of locally produced games. Andrew Hawkins from DrewFX is kindly rounding up the exhibition line-up, so if you are interested in showcasing at Pause Fest, please contact him directly or respond to the appropriate mail thread at PIGMI. 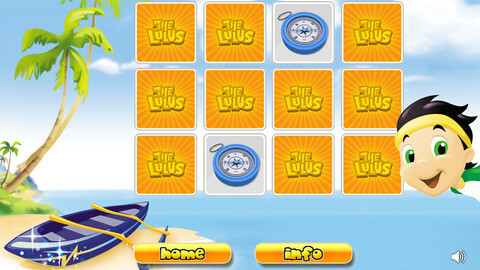 Children’s entertainment group The Lulus have released their debut iOS game, The Lulus Memory Match. The game is an educational app designed and developed in Perth, for Australian children aged 2 – 7. You can find the game on the Apple App Store. For those of you who took our Indie Game Marketing Workshop last year, you’ll remember Chris from Surprise Attack. He just let us know on our Facebook page that Surprise Attack is now offering a discount on all work they do for game developers in advising with funding applications. All applications to Screen Australia’s new games fund are eligible, and with the Enterprise and Production funding deadlines closing in (April 22nd and July 12th, respectively), this has come in at a good time! If you’re looking to make an application to Screen Australia, and would like some help from folks with experience in the field, you can find more information on the Surprise Attack website.